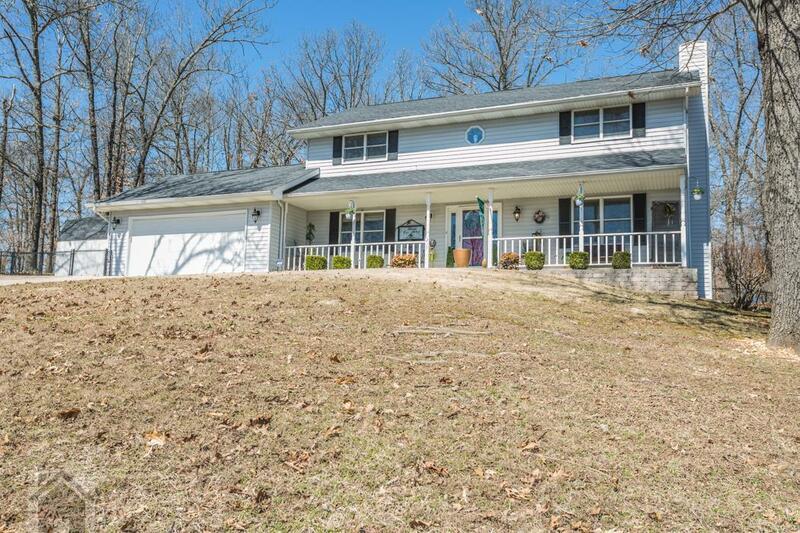 With over 3500sqft this 4 bedroom, 3 bathroom two story house is nestled in the Waynesville city limits. Step into the large carpeted living room and a wood burning fireplace. 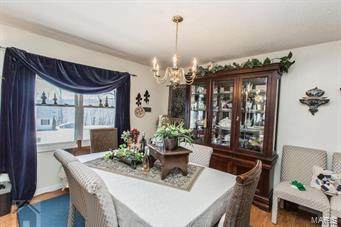 The formal dining room is a great space for entertaining and laminate floors for easy clean up. 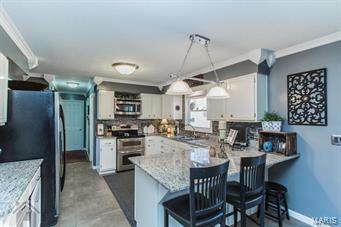 The kitchen features granite counter tops, white cabinetry, breakfast bar, tiled backsplash stainless steel appliances. The spacious master bedroom is carpeted for comfort with a walk-in closet. The master bathroom has vinyl floors, a double vanity and tub/shower insert. There are two carpeted guest bedrooms and a guest bathroom upstairs. 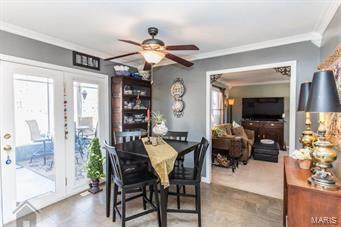 Downstairs there is a large family room with laminate floors and a great space for entertaining. There is another guest bedroom and bathroom downstairs as well. There is an unfinished room perfect for storage or finish it out to make another bedroom. Other features include a screened-in porch, chain link fence, crown molding, new water softener, new roof, new two heat pumps.